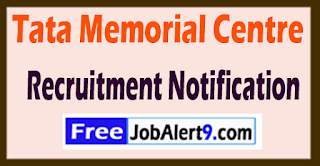 TMC (Tata Memorial Centre) Has Released Recruitment Notification For 12 Field Supervisor, Data Entry Operator Posts. 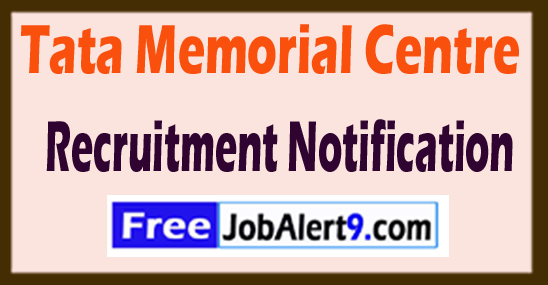 All Eligible & Interested Candidates Can Attend Walkin Interview,Further Detailed Information Regarding Educational Qualifications, Age Limit, Selection Procedure, Exam Pattern, Syllabus for TMC (Tata Memorial Centre) Recruitment 2017 - 12 Field Supervisor, Data Entry Operator Post is mentioned below. Rs. 12,000 - 23,000/- (Post 1), Rs. 9000 - 18,000/- (Post 2), Rs. 8000 - 16,000/- (Post 3) . All Eligible & Interested candidates are required to (attend walkin interview) a long with relevant testimonials to the following Address /on (6th June to 7th June 2017). Committee Room: C/0 The Medical Superintendent, SS Hospital, BHU, Varanasi, UP . Walk In Date - 06-06-2017 to 07-06-2017. Click Here For TMC Recruitment 2017,Advertisement.